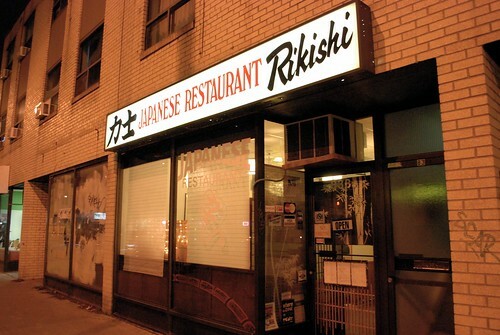 Yesterday Geoff and I decided to celebrate a special date by having dinner at Rikishi. 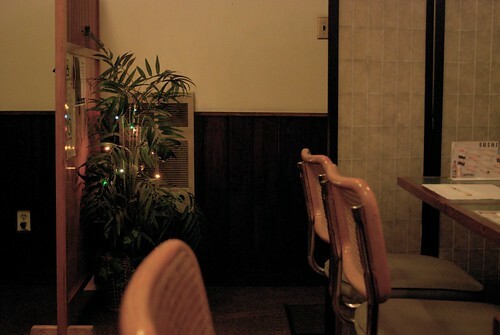 This restaurant is incredibly unassuming, and has probably been decorated in the same way since it opened. We walked past so many times before we decided to try it for the first time one rainy Friday in October. I am so glad we did. What I love best about this restaurant, besides the food, is that it is so calm inside. It is quiet, with soft lighting, and wonderfully gracious service. We spent two hours there, savouring every bite. Heavenly. This is right down the street from me and I've never noticed it before. I'll have to check it out. theres nothing like finding a restaurant gem. So weird. I've never noticed this place either. Guess I'm gonna have to slow down the bicycle. Thanks for the heads up, I'm definitely going for my next sushi craving. I truly cannot emphasize enough how good the food and the experience is here. I agree that it's very easy to overlook too! I also like that there is a 20+ year old Toronto Life review on one wall. With so many generic Sushi restaurants in Toronto it's got to mean something that they've been around that long. hmmm...very close to my house! i wonder if they do take-out?? I LOVE RIKISHI!! Definitely the best sushi restaurant in Toronto. What a nice surprise to see it posted here! I've missed it so much since we've been living in Berlin. Aw... this post has got me craving it. Luckily we'll be visiting Toronto in less than three weeks! Are they still super chill and slow? I should also answer Miss Crosland... they definitely do take-out. Hey, so a bunch of you are probably my neighbours! I love it! This neighbourhood is so great for the hole-in-the-wall restaurant, which is my favourite kind! 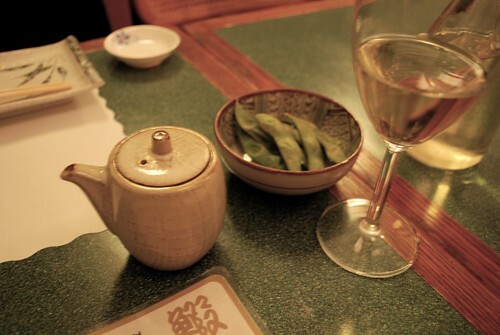 My husband took me out for an amazing sushi dinner for my birthday a few years ago. We went to sushi Nozawa here in LA. The chef is known as the sushi nazi - he'll supposedly kick you out if you order a California roll - but we thought he was perfectly friendly. And the sushi! OMG, the fish was like butter! So, so good. it all looks so delish! Rikishi is charming, tasty and clean. The emphasis is on high quality ingredients, subtle flavors, careful preparation and presentation. 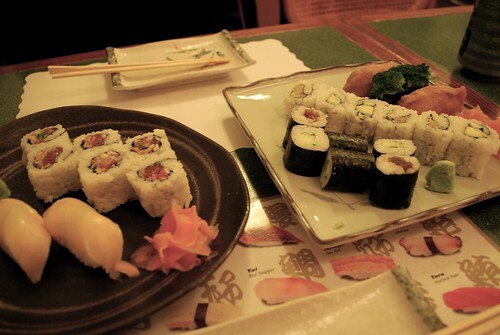 In addition to fish, they serve wonderful vegetarian sushi and dishes. There are homey options that mainstream North American sushi restaurants will not offer. I consider it truly Japanese for those reasons and the chef is Japanese too. I have to go the next time I visit Toronto.